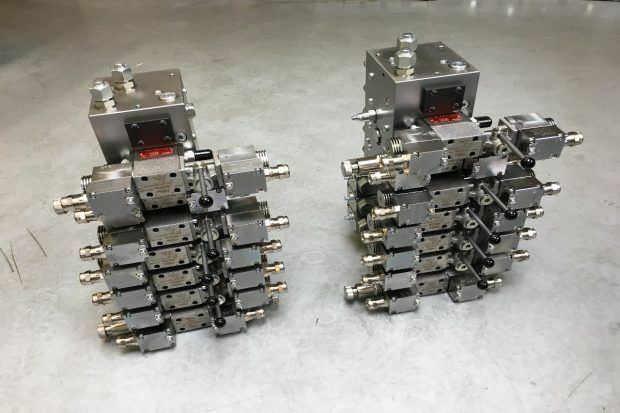 Rotary actuators from HKS Dreh-Antriebe GmbH, are compact units that are used wherever big loads are tilted or turning movements, involving high torque, are required. Rotary actuators are easy to control, with the highest precision and they only need a small mounting space, despite the high power realised. The rotary actuators achieve high functional efficiency and reliability. The inside of the actuator is protected and immune to dust, dirt and moister. 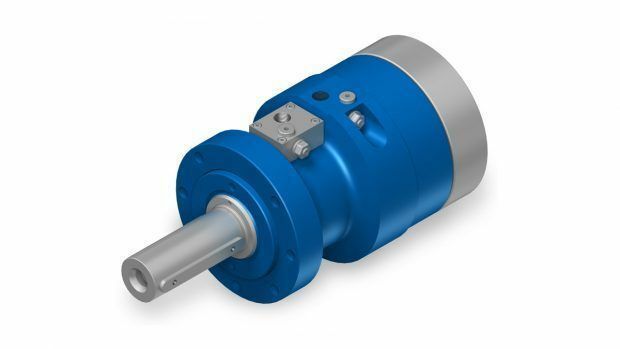 The I-DA-H is a helical rotary actuator that has a working pressure up to 250 bar, a torque up to 250.000Nm and a standard angle of 90°, 180°, 270°, and 360°. In contrary to the first generation DA-H, the I-DA-H has end position damping as a standard and continuous adjustment of the shaft position. 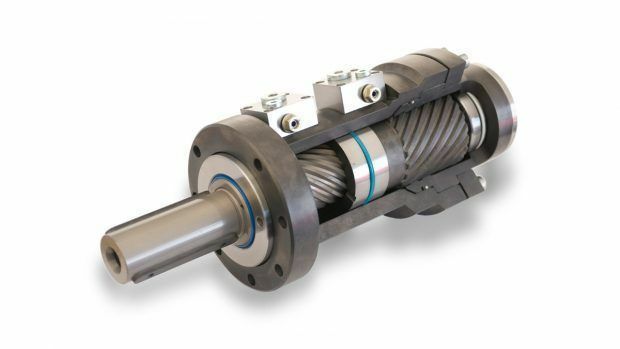 The improved bearing support with four point bearings accommodate high radial and axial forces and leads to a longer life cycle. Also, the end position cushioning is optimised and a standard feature. The standard angle adjustment (±4°) provides accurate movement of end positions. The rotation angle of the I-DA-H can be retrieved via a standard control shaft and all intermediate rotation angles are feasible. This can be adjusted according to the requirements of the customers, so it can be integrated perfectly into the customer’s system. The I-DA-H has hardened sliding surfaces and state-of-the-art sealing technology, which results into wear and tear reduction, a higher level of efficiency, no leakage, longer life cycle, and improved safety. 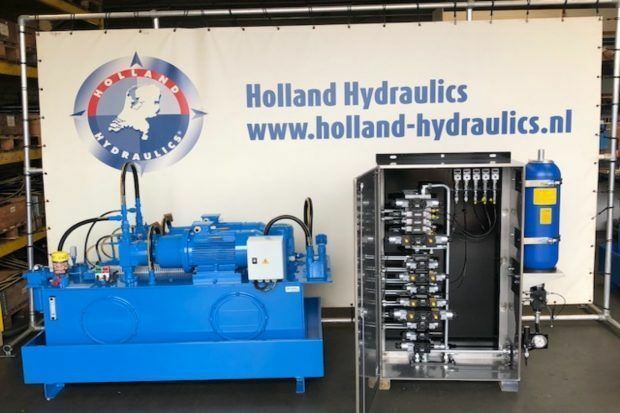 Holland Hydraulics B.V. is proud partner of HKS Dreh-Antriebe GmbH and covers the sales of HKS rotary actuators in the Netherlands.